There are two cycads in the rockeries; one large and one small. They tend to flush on alternate years, so there is always something to look at. Last year it was the tern of the smaller, which was posted here. 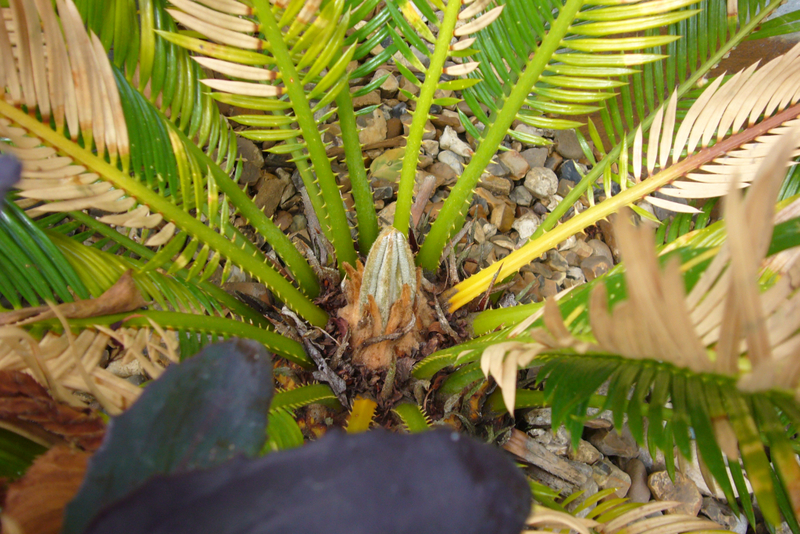 This year was the turn of the big cycad and so it has been checked regularly, but nothing. The centre looks better than it ever has, but not a single sign of a flush. 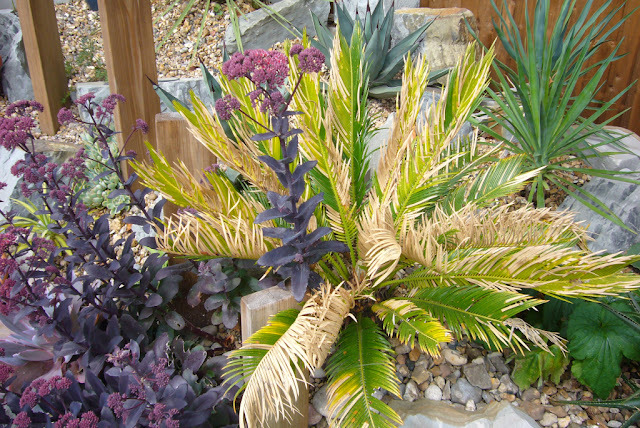 They never do that, there is an order: large - small, large - small. I'm guessing it has more to do with the state of the leaves than anything else. Last years flush didn't like the winter and there is a lot of damage. 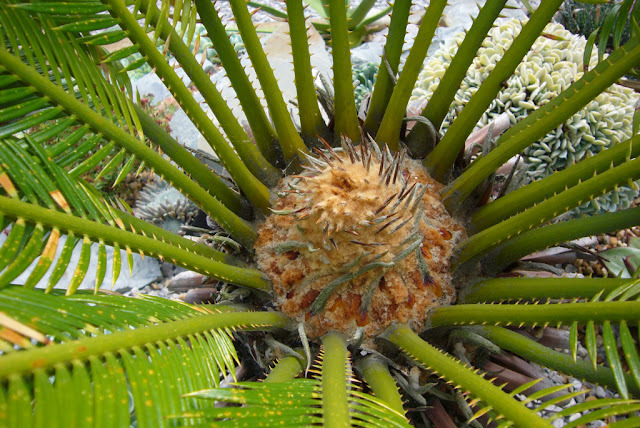 They say if you want your cycad to flush then cut all the leaves off. It seems damaging them over winter is just as good.